Show Me The Movies: Over 20,000 hits and counting! From its humble beginnings earlier this year, I am delighted to report that this very blog has now surpassed 20,000 hits this week accumulating nearly 900 social media followers on the way. With a grand total of over 300 posts published it's fair to say that it has been an incredible, eventful and extremely rewarding journey in the last few months and one that I'm very glad that I took. Due to the blog, I have been fortunate enough to experience and report from the various wonderful film festivals around the country. I have always been a strong advocater for Irish and local film makers and my work with this blog has not only strengthened this belief but also opened my eyes wider to the amazing body of work and talent that exists in the film industry in this country despite the numerous continuous challenges they face. This blog has received very kind and welcome advice, feedback and encouragement from the likes of Patrick Freyne (Irish Times), Tom Dunne and James Mottram (renowned freelance film journalist) who were very generous with their time. I have had the privilege to meet and interview the likes of auteur director Ben Wheatley, Irish movie star Jack Reynor and film critic extraordinaire John Maguire among others. The blog has also featured in depth pieces with the likes of Fionn Greger, producer of the popular award winning film Twice Shy which screened in the Dingle Film Festival earlier this year and Festival director Maurice Galwey who was kind enough to do a Q&A in the lead up to this outstanding Film Festival in March of last year. Kerry Film Festival artistic director, Maeve McGrath has also always been very generous and supportive with her time regarding this blog and for that I am extremely grateful. I also enjoyed a wonderful four days reporting from the once again outstanding Kerry Film Festival in Killarney last October as well as reporting on their numerous other spectacular events throughout the year. Show Me the Movies blog has also included colour pieces such as "Where have all the soundtracks gone?" and "Internet killed the video star" which were hugely interesting and great fun to do. Each week the blog continues to include the latest Omniplex Cinema reviews (thanks to everyone at Omniplex Cinemas also for their continued support), various Top 5 lists and picks of the best movies on the telly as well as other musings that may cross my mind from time to time. The blog has also led to a weekly article in www.traleetoday.ie, a post as resident film critic for Tech Amergin's Cultural Cinema programme and a place on the board of the prestigious Kerry Film Festival so not bad I guess for it's first few months in operation! For the opportunity to write about what I love has been a privilege. 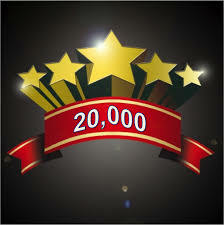 To hit 20,000 hits and 900 social media followers along the way has been welcome surprise and bonus. I would just like to thank all that have been so helpful and generous with their support, encouragement along the way and most of all to all those that have dipped into this blog or attached social media channels from time to time. I hope some of you have found it useful, informative and for the most part enjoyable and here's to the next 20,0000 hits and what adventures that will bring!